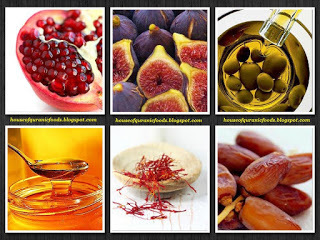 By Karimah bint Dawoud, Islamic Nutritionist. Some religious and secular lifestyle paths look at the body as a temple that houses the spirit. As a temple and building, it should be maintained and not neglected. Islamic teaching compliments this view. The human body is a very complex and divinely designed vehicle. It carries around the spirit, which connects to its Creator – Allah. This magnificent higher organism is fueled by the consumption of organic matter and requires a specific fuel of superfood for maximum performance and a pure connection to Allah; this food is known as Halal and Tayyib, lawful and pure. Good well being means good ibada (religious worship), which takes many forms including prayer, work, study and making love to one’s spouse all in the name of Allah. “You are what you eat” is a refrain that has been promoted throughout history, however throughout time, since the days of cavemen, through civilisations, through the industrial and technological revolution, we have arrived at a point in time where diet has never been as important as it is today. And why is that? In the affluent 21st century, when we think of malnutrition we think of the 1.5 million children that die from starvation every year but the growing problem of malnutrition is obesity. According to UNICEF in 2011 there were globally 43 million children under 5 that were overweight. Over consumption of the wrong foods and lack of exercise, particularly from a sedentary life style, are a recipe for weight gain, related ill health and disease due to a lack of balance. Since 1980 the number of obese adults has quadrupled to nearly 1 billion. In the UK alone 64% of adults are either overweight or obese. The Overweight Development Institute states that American leads the way being the most obese nation with 70% adults being overweight or obese in 2008 compared to 45% in 1980. North Africa and the Middle East is tying a close second place with Latin America and Europe where nearly 60% of the population are overweight or obese. Based on a series of papers in the medical journal The Lancet, it is predicted based on current trends that by 2030 there will be 26 million people in the UK that are obese compared to 15million in 2011. There have never been so many processed food products in our diets, some containing harmful chemicals. There are toxins in the air that we breathe and electromagnetic charges in the atmosphere that surrounds us, all affecting our immune system. Awareness of good nutrition is vital for our future existence and productivity – especially for the homemakers, who need to have good nutritional knowledge so that they can apply this in everyday life and as a direct result, give their family good eating habits for life. This includes knowing the food groups and their uses, the vitamins and minerals needed for good health and the best items of food that contain these vitamin and minerals . It would also be useful to recognise allergies and how they can be treated by food as well as eating disorders, which is also important. When we look at the example of Prophet Muhammad’s (SAW) diet of the types of foods he used to eat and what he would avoid, we will begin to see another dimension to the deen and Islamic lifestyle. The complete range of health problems can be addressed by changing diet and through exercising – it is one of the first things to do before taking pharmaceutical alternatives for any illness. There are some medical doctors who negate the role of clinical nutrition as the solution for illness, preferring to prescribe compound pharmaceutical drugs as the solution to all illness and diseases. This method usually causes more harm than good. Patrick Holford mentions in The Optimum Nutrition Bible that once a person is caught up in the drug cycle, they will probably die as a result of the combination of pharmaceutical drugs that they’re taking, rather than the original illness that could have be rectified by clinical nutrition application. Islamically the first port of call when sick is to make duaa / prayer to Allah. The second procedure is to change the diet and to use simple medicine, including herbs and essential oils. Should that fail, then the use of pharmaceuticals / compound medicines can be prescribed and as a last resort, surgery. Islamic doctors are warned about the over prescription of compound pharmaceutical medicine when diet should be tried first. In these times where doctor’s surgeries are over flowing with minor health issues and the national health service is stretched to its limits, it would be wise and more resourceful to empower oneself with Islamic knowledge on nutrition to prevent illnesses before they start. “O ye apostles! enjoy (all) things good and pure, and work righteousness: for I am well-acquainted with (all) that ye do”. We must educate ourselves in what is wholesome and what is pure – though a pizza may be halal, whilst okay in moderation, is it doing us any good? Could we save ourselves from a plethora of illnesses and diseases just by making informed choices in regards to our diet and exercise levels? It is something imperative to think about.